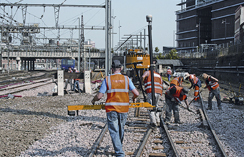 The demands on those in the rail industry continue to grow with an expectation of increased efficiency and customer satisfaction, all while minimising costs. 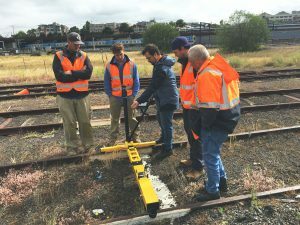 Now sold through UPG, the Trimble authorised distsribution partner for rail technology in Australia and New Zealand, recognise these challenges and are here to offer you the technology solutions you need for all stages of railway development and management. Combining the latest in GPS/GNSS optical measurement, imaging and 3D scanning technologies, with customised software and wireless communications, we have the technology to help you quickly and accurately capture the data you need to get the job done. We focus on advanced process integration through the complete railway lifecycle – from the feasibility phase, through design and construction, to the subsequent operation, maintenance and safety of a railway. Our team of dedicated professionals, many of whom are qualified surveyors and engineers, have many years of experience with extensive knowledge of the equipment and solutions we have on offer. By partnering with you to understand the challenges and opportunities you are facing in your industry, we’ll provide you with the solutions you need to transform your business. 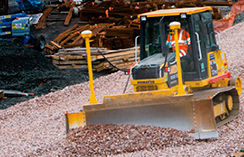 If you'd like to know more about our railway solutions, contact us today. 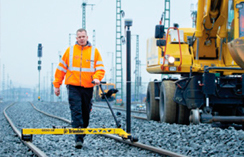 Trimble GEDO systems provide efficient tools and workflows throughout the rail measurement process. Integrated suite of solutions to manage lifecycle of rail transport assets from operation through maintenance and repair. Trimble railway planning solutions provide the tools to gather, manage, and analyse information to make informed decisions. Solutions that integrate inspection and maintenance workflows reducing downtime and streamlining asset management. 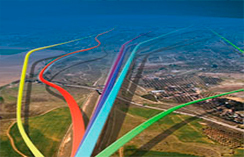 Advanced solutions for construction and surveying, with the precision and rugged reliability railway projects require.